There are 17 reviews of Armani Code Ultimate. This is the Code to get if you like the original Code. Built up, more of everything without being overpowering or trying too hard. Truly the ultimate Code for me. This is my favorite in the Code line aside from Sport Athlete. Ultimate does a great job creating a creamy, sensuous tonka accord in the opening and then transitioning to a solid, woody base with some character in the end. In the beginning it flashes some fresh notes but pretty quickly settles into a vanilla and tonka combination that is smooth and enticing. This one really seems designed to be a date fragrance, and its consistent, though never over-the-top projection is perfect in this regard. Code Ultimate isn't linear however, as it makes a complete transition from its tonka heart to a very woody base. The woods notes here are distinct, and indeed it's a very good rendition of guiac wood, a kind of fuzzy-warm, rich woodiness that continues the romantic, sensuous theme, keeping this one along a warm, alluring plane. Longevity is very good. As mentioned earlier, Ultimate makes for a great date fragrance or just a night out on the town during the cooler months. There are many, many woody/tonka fragrances on the market these days. This is one of the better choices. Thumbs up. I do like this better than original Code. The soft, powdery feel remains but is more muted. It projects well and is pleasant, so should be safe at work. 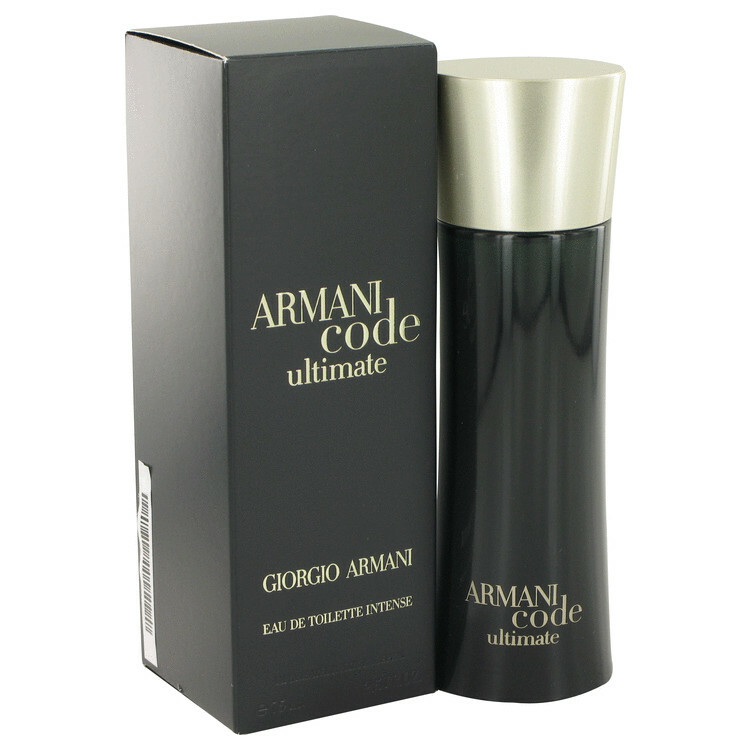 Armani Code Ultimate is a very cleaned up, and perhaps more mature version of Armani Code. The top notes and middle of ACU retain the lemon, bergamot, star anise, guaiac and olive notes of AC, but ACU replaces the tobacco with a soft cedar and cypress to combine with the tonka bean and vanilla. I would describe ACU as a spicy wood fragrance and AC as more of an oriental. Most flankers these days are far removed from the original, but ACU fits nicely alongside AC. While ACU isn't ground breaking or earth moving, it's very well composed, has an average projection and gives 8hrs longevity. Excellent versatility to be worn year round to any occasion. If you only want to own a handful of fragrances, ACU should be in your wardrobe. There are no member images of Armani Code Ultimate yet. Why not be the first?